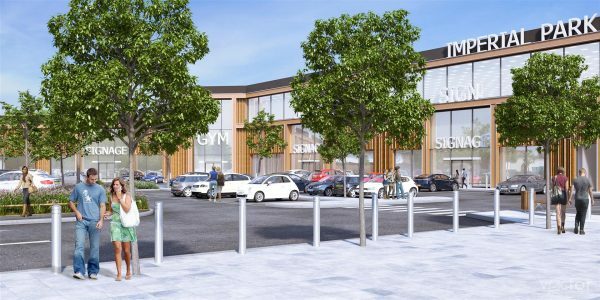 Final phase works are imminent for Imperial Park, completing the regeneration of this former Imperial Tobacco Factory site to the South of Bristol City Centre., Designed by our London office, Imperial Park received planning consent last November for around 7,250 sq m of retail-leisure park including an Aldi foodstore, Drive Thru’ and gym. The plans build on works already undertaken to regenerate the Imperial Tobacco Factory site and also include additional parking, new public piazza and improved pedestrian pathways through the site, with proposals for new landscaping created by our sister company Vector Design Concepts. Imperial Park is expected to generate over 225 jobs when open.